Error U051 means "no print head installed. Install the print head". It's a cartridge error or the printhead is defective. 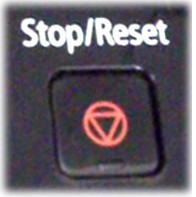 Reinstall the cartridges; change the cartridges if the error persists. If the error persists: verify that the contacts on the cartridges and the ink cartridge are clean and unscratched. Finally, it is possible that the printhead is defective. I do not get this error code, but my printer goes through the motions as if it is printing only to have blank pages emerge. Is this the same thing?